Established in 1993 and based at Odiham’s local landmark Old Bakery, The Odiham Clinic has become well recognised locally for its wide range of disciplines and treatments – offering a rounded personal service to the local community and beyond. That’s why we are pleased to extend services to the Fleet area, at the Richmond Surgery (off Linkway, Fleet), where we offer Osteopathy and Hypnotherapy. Where necessary, therapists can now consult with the other disciplines, to help resolve your problem as quickly as possible. If further investigations, such as an x-ray or blood tests are necessary or you require further medical treatment, we may contact your doctor, with your permission. Passionate about our patients’ wellbeing, we stock ‘Sissel’ products to aid healthy sitting and quality sleep and Pilates tools to assist your home self-care. Relevant supplements, remedies, creams and hot/cold therapy products are available for purchase. Other specialist items, such as back supports, can usually be supplied within 2-3 days. Many of our patients find us through kind referral. For those who wish to introduce friends or family to these benefits, we now also offer Gift vouchers. Our Osteopaths are registered with the General Osteopathic Council and recognised by all of the main health insurers. 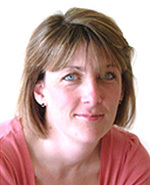 A graduate of the British School of Osteopathy (now University College of Osteopathy) in London, Principal Osteopath, Christina Hood BSc(Ost) has been practising in Odiham since 1993, when she established The Odiham Clinic. Prior to becoming an Osteopath, Christina qualified and worked as a Nurse at St Bartholomew’s Hospital, London. She also gained nursing experience in orthopaedic surgery and paediatric orthopaedics at Great Ormond Street. Having nursed patients following spinal surgery and other neurosurgical operations, Christina has found this experience invaluable in her practise as an Osteopath. Although Christina enjoys treating a variety of complaints, she has a special interest in treating expectant mums, children and the more challenging patients with chronic pain. She has taken postgraduate courses in Cranial Osteopathy and Dry Needling (Myofascial Acupuncture). In her spare time, Christina is a keen fell walker, swimmer, enjoys yoga and sailing when the opportunity arises. Linda Routledge MOst, graduated from the British College of Osteopathic Medicine and also qualified in Medical Acupuncture through the British Medical Acupuncture Society. Linda has a primarily structural approach to treatment with a keen interest in the neurological system and the underlying cause of pain. She strongly believes that each patient deserves an individual approach with thorough explanations to aid understanding and self-management away from the clinical setting. Outside of the clinic, Linda has always been very active being an enthusiastic skier, horse rider and runner for many years. Katie Clayton MOst, BSc(Econ), graduated from the BSO, London, and has taken postgraduate courses in spinal mechanics, Balanced Ligamentous Tension, Cranial Osteopathy and clinical mat-based Pilates. She has a focus on biomechanics, posture, lifestyle and general health when assessing and treating patients. She believes that improving movement and circulation are key, as well as investigating the root of the symptoms and helping the patient find tools to help themselves. Katie has been a keen dancer from a young age and also enjoys Pilates, yoga and hill walking. 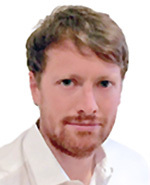 Anthony Brindle MOst, studied at the London School of Osteopathy and is also qualified in Sports Massage and Dry Needling. Anthony is a keen squash player and coach, having represented Gibraltar at various international events, most notably the 2014 Commonwealth Games in Glasgow. He believes that exercise, alongside manual therapy is vital for the successful resolution of a patient’s pain. Our team of Osteopaths (see Osteopathy) is now offering massage to existing and new patients. Our particular interest is in treating patients experiencing pain, flexibility issues, muscular tension and sporting or other injuries. Sarah Sadler BSc, MChs qualified in 2007 from the University of Southampton, with a degree in Podiatry and joined The Odiham Clinic team over 10 years ago. Sarah regularly attends courses and conferences in order to keep up to date with the latest treatments. She is a member of The Society of Chiropodist and Podiatrists and the HCPC. Sarah’s love of feet started in her late twenties, when she saw the impact that painful feet had on the mobility and quality of life of some of her elderly relatives. Sarah is an enthusiastic practitioner who enjoys all aspects of footcare, whatever the age of the feet! She takes a holistic approach to her patients, from the treatment she provides to how people care for their feet at home, encompassing the choice of footwear, socks, foot creams and even what nails are painted with! Sarah aims for her patients to leave the Clinic feeling that they are walking on air! 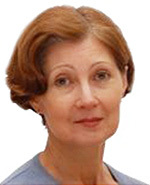 Elena Panfilova BSc RHom began her interest in holistic medicine after moving to the UK, in 2003, from Russia, where she worked as a medical doctor in a hospital in Saint Petersburg. 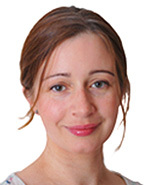 Elena qualified as a Homeopath from the Middlesex University in London. Having a great respect for conventional medicine, Elena was drawn to homeopathy because of its approach to disease through understanding the whole person, including their body, mind and emotional state. 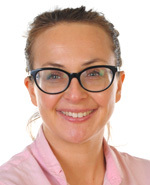 Elena’s particular interest is in treating women and children – supporting women during periods of hormonal change (puberty, birth and menopause) as well as times of emotional stress, grief or simply not feeling right to children with learning difficulties or behavioural problems. Garry Coles MSc (Clinical Hypnotherapy) HPD Dip Adv. Hyp DBSCH ADPR SQHP Clinical and Medical Hypnotherapy Specialist, is one of the most highly qualified and experienced hypnotherapists in the country and amongst a very select number to hold a NHS contract as a clinical hypnotherapist, practising at a major hospital. Garry is also based in a GP surgery. In addition to lecturing in clinical hypnosis at post graduate level, Garry is regularly in demand for conference presenting and delivering specialist hypnotherapy workshops worldwide. The UK Hypnosis Convention in 2016 rated Garry as one of the top thirty hypnotherapists in the world! Garry is certified to offer mentoring and clinical supervision to other practitioners and is the ‘go to’ hypnotherapist for the referral to, of difficult or challenging cases – receiving many referrals, not only from other hypnotherapists, but also GP’s, surgeons and psychiatrists. Garry is a world-renowned specialist in Hypno-Oncology and has pioneered the only ‘in-hospital’ based UK research into the use of hypnosis with oncology cases. Garry is trained and qualified in a multitude of hypnotherapy styles such as traditional, Ericksonian, Solution Focussed and Analytical Hypnotherapy. In addition, Garry is trained and qualified in a variety of allied approaches such as Cognitive Behavioural Therapy (CBT) (and Hypno-CBT), Neuro Linguistic Programming (NLP), Eye Movement Desensitisation and Reprogramming (EMDR) and Kinetic Shift (KS). He is registered with, and accredited by: The BSCH, NCH, CNHC, GHR, GHSC, The Society of NLP and is registered in the NHS Directory of Complementary and Alternative practitioners. 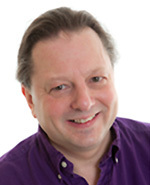 Garry was recently voted to the Profession Specific Board of the Complementary and Natural Healthcare Council, by UK hypnotherapists, (for the second time), where he advises the CNHC on governance, training and ethics. In fact, he was part of the team that devised the current UK core curriculum for hypnotherapy training. 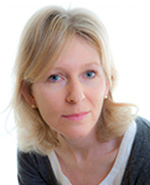 Ewa Franus-Branagan MPharm DipNT is a qualified Pharmacist and Naturopathic Nutritional Therapist with 12 years’ experience working in the pharmacy as well as in the pharmaceutical industry. This experience gives her a very good understanding of the possibilities and limitations of the ‘western medicine approach’. After battling her own health challenges and receiving insufficient answers and help from her doctors, Ewa decided to get back to her teenage interest in natural therapies, enrolling into a 4 year Nutritional Therapy and Naturopathy course at the prestigious College of Naturopathic Medicine (CNM) in London. She now works with clients offering a natural drug-free and holistic approach to health, tailored to the individual. She may recommend some additional functional testing and/or supplementation and works with you to find the best solution. No health concerns are too big or too small, so please contact her or the Odiham Clinic if you would like to book an appointment. Where appropriate she would work alongside your doctor or would refer you to your GP if any presenting symptoms would require medical intervention. Ewa’s main aim is to help you understand the root causes of your health challenges and guide you to restore your health by using Nutritional Therapy and Naturopathy. Call us to organise a free telephone or face-to-face conversation at the clinic on 01256 704120, or email hello@franus.co.uk to learn how this therapy can be beneficial for you.